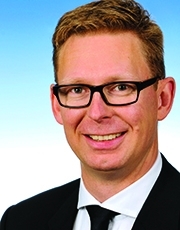 Lars Himmer, 45, is head of group sales strategy at Volkswagen Group. Automotive News Europe salutes the winners of the 2014 Rising Stars awards. Every day until today two of the 14 winners will be featured. The Rising Star for Sales OEM is Lars Himmer, head of group sales strategy at Volkswagen Group. For his full profile and profiles on all the other 2014 Rising Stars, click here.